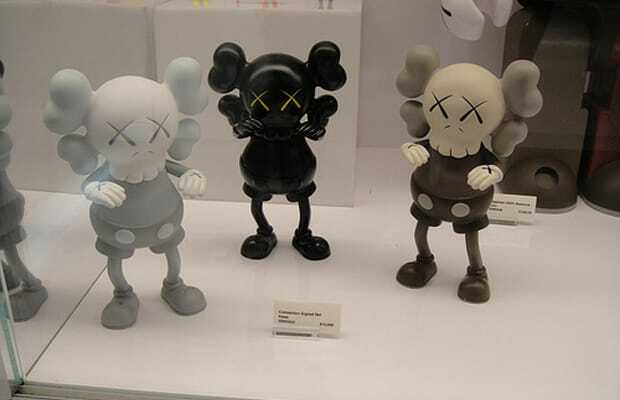 KAWS released his first toy back in 1999. The Companion was in collaboration with Japan's Bounty Hunter brand and was recently recreated into a massive 16-foot statue that currently resides outside The Standard hotel in NYC. Erik Parker: "A lot of the things we gravitate to are the same. The thing about KAWS' stuff is the more you know about what he does, the more you become addicted to it."